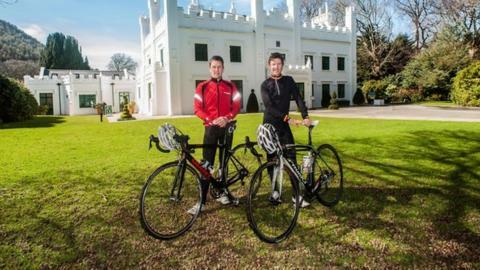 Cyclists Andrew Roche and Rob Holden have been named as official ambassadors for a new three-day cycling festival in the Isle of Man. Both Roche and Holden have competed at a professional level and are heavily involved in the Manx cycling team. Organiser Paul Phillips said their "knowledge and experience will help us to create a great series of races". The festival will include the opening stage of the Pearl Izumi Tour, which features the UK's leading professional teams. Two-time British Criterium Champion Holden said: "The Isle of Man is a real hotbed of cycling talent with great roads and routes and stunning scenery. "It has been crying out for a cycling event of this size, scale and quality that appeals to both residents and visitors. "It will be a great chance for people from off island to experience everything that the Isle of Man has to offer to cyclists." Seven-time Commonwealth Games competitor Roche added: "Our aim is to create a festival that appeals to cyclists of all levels and abilities."